I’ve been really busy doing research and have several really interesting posts planned, but I only have time for a quick entry today. Symphony Circle was originally named The Circle. The Circle was built in 1868, over the former Black Rock Cemetery. A mansion was built in the 1890s on 3.5 acres adjacent to The Circle by Truman Avery. The family offered their property in 1938 for the new music hall. Also, in 1939, the center island we removed from The Circle because it was believed to be an impediment to traffic. Because of the association with Kleinhans Music Hall and the Buffalo Philharmonic Orchestra, The Circle was renamed Symphony Circle in 1958. In 1992, a committee was formed to look at options for restoring the center island to the circle. 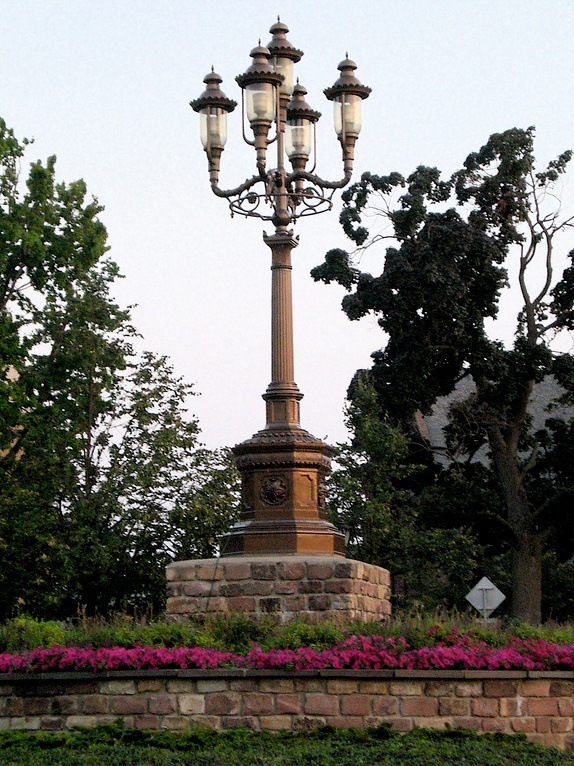 By 2002, Symphony Circle was restored to as close to the Frederick Law Olmsted original plans.